The bottom of the cabinet consists of two drawers topped with a shelf. The shelf is carefully fitted using dados and through mortises. The dados come first, one on each side. Laying them out carefully, I placed both pieces together marked with a knife and then began work with a chisel followed by the router plane. 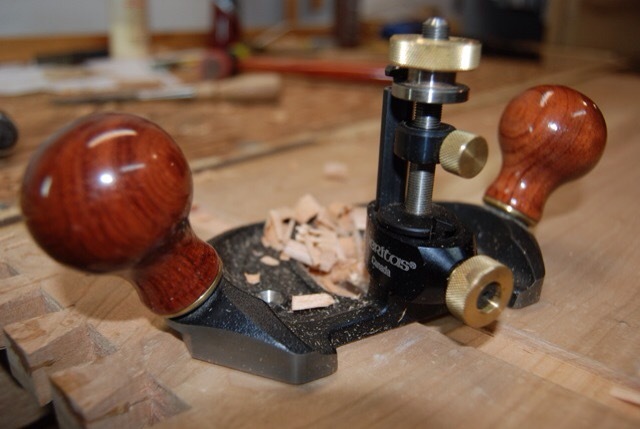 The router plane is the most used plane I own beside my number 4. 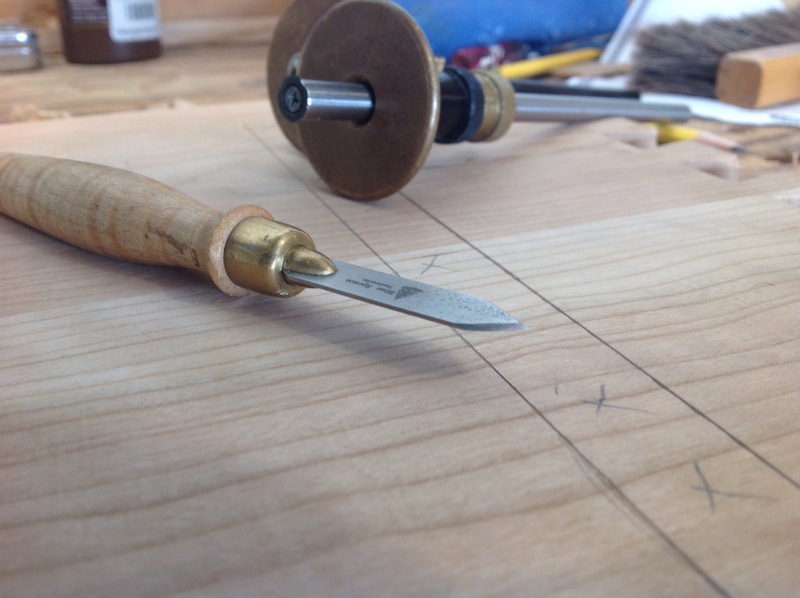 If you are new to hand tool woodworking it is a must have tool. I use a Veritas model, but there are many others out there. In a short period of time the dados were complete. Hanging Tool Cabinet – Shelf 2 oops Dovetails and more..